Hello again from the graveyard shift. It's been a long month and I am just kind of tired. The bright side is that I have been pretty productive on my crafting. I got the 2 blue blocks I needed to finish done and finished 3 red blocks. I only have to finish off the red and get to work on the yellow. I showed some of the blocks to the parents and they loved them! I can't wait to get this blanket done. The baptism is in July so I have a deadline to get it done. I finished off the teal. I got 8 blocks out of the skein. This means I should get at least 48 blocks with the 6 colors I chose. I got a ton of work done on the Aquaman square. 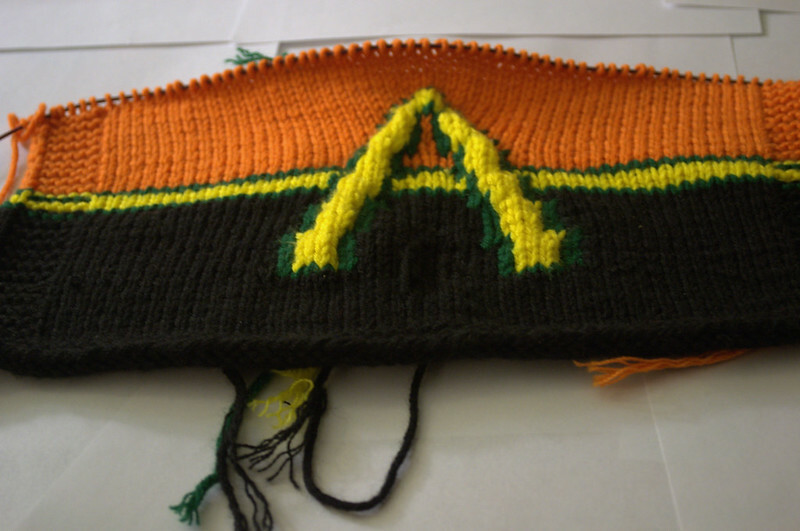 The A is turning out a bit puffy and it's more rectangular than square but I think it will all turn out in the end. Awesome blocks! I love the granny squares, can't wait to see the other colours. I think a deadline is a nice thing (provided it is long enough), it keepe me motivated. 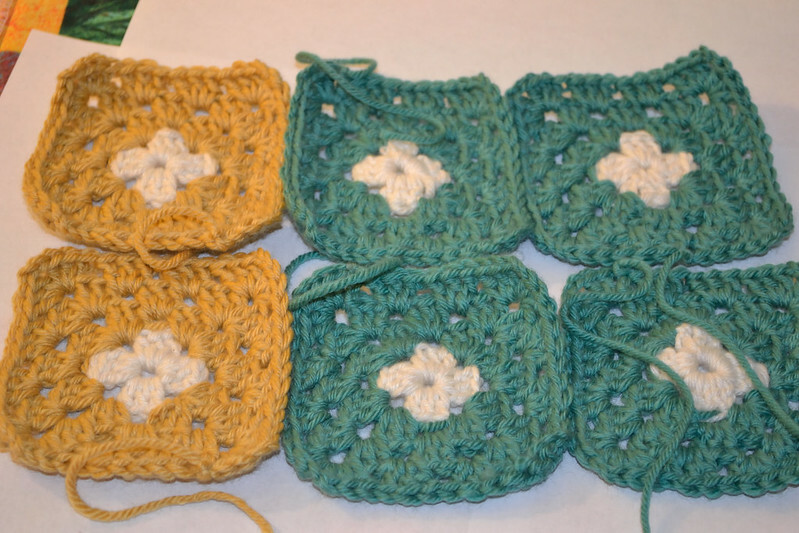 I am so envious that you can make such pretty granny squares! Those blankets are going to be amazing.